This is CTDEEP’s final fishing report for 2014. Striped Bass fishing is good for schoolies in the lower tidal rivers. Keeper size stripers can still be caught on the local reefs but that has slowed down. Bluefish fishing has cooled off after the weekend nor’easter. The mouths of the Thames, Connecticut, and the Housatonic Rivers during flood tide may be your best bet for both stripers and blues. 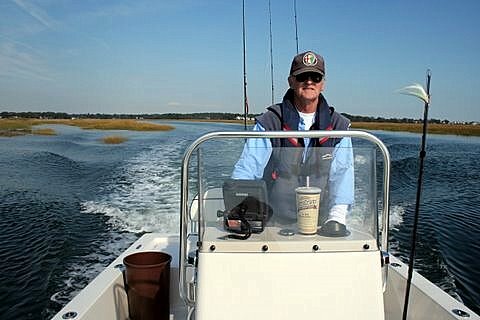 Other fishing spots include the Watch Hill reefs, Ram Island Reef in Fishers Island Sound, the Race, Sluiceway, Pigeon Rip, Plum Gut, outer Bartlett Reef, Black Point, the “humps’ south of Hatchett Reef, Long Sand Shoal, Cornfield Point, Southwest Reef (outer), Sixmile Reef, Falkner Island area, the reefs off Branford, New Haven Harbor, and Charles Island area. Also, buoys 18 and 20 off Stratford Point, Stratford Shoal/Middle Ground, Penfield Reef, around the Norwalk Islands, and Cable and Anchor Reef. Hickory Shad fishing is fair to good in the lower Connecticut River (DEEP Marine Headquarters fishing pier), Lieutenant River, and Black Hall River. Porgy and Black Sea Bass fishing has slowed down as fish start their migration to offshore overwintering grounds. Scup can still be caught on the local reefs and black sea bass in deeper (90+ feet) water. Blackfish fishing is good. Try fishing areas off the beaten path instead of the popular reefs in order to improve your chances. False Albacore and Atlantic Bonito fishing is spotty but they are still hanging around in eastern LIS in the Watch Hill area, the Race, and around Bartlett Reef.